The Woven Hammock is brilliant for your kids play area or suspended outside for leisurely family afternoons. 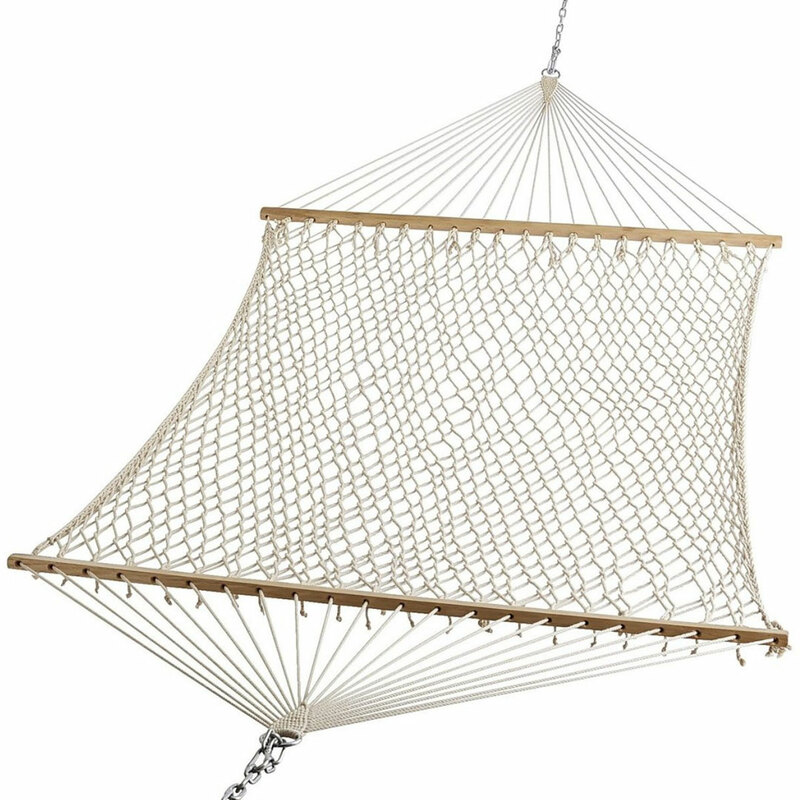 Sturdy and expertly woven, this hammock can be suspended from a tree or hooks in your walls. The cotton ropes are securely attached to solid wood planks on both sides to ensure added stability.